inside and outside the classroom. Welcome to Triton Regional School District. Three communities with a mission to unite in supporting the development of engaged, successful, responsible, resilient learners; well-prepared to be ethical, empathetic, and contributing citizens. Click here to see all Triton news! Stay connected by subscribing to the feed below and access the calendar from your computer, tablet and phone. 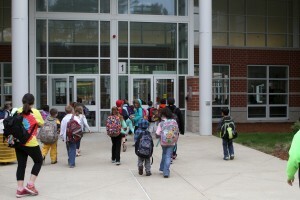 The Triton Regional School District serves the Massachusetts coastal towns of Newbury, Rowley and Salisbury. Located in the northeast corner of the state, these three communities provide a distinct population of students to the school district. With all three rural towns dating back to the 1630’s, the area is rich in historical traditions and attractions which add to the academic experience of our students. The District is comprised of one elementary school in each town ranging in population from 450 to 525 students in Pre-Kindergarten through grade 6. Upon completing the sixth grade, students attend the Triton Regional Middle School which houses approximately 425 students in grades 7 and 8. Sharing the same campus in Byfield, the Triton Regional High School houses around 750 students in grades 9 through 12. The total student population of the district is approximately 2,675 students from Preschool through the 12th grade. Click here to learn more about enrollment. For inquiries about accessing public records, please contact Triton’s Records Access Officer, Michelle Cresta at [email protected] or via phone at (978) 465-2397.